When your heart is full of gratitude, there’s room for little else. 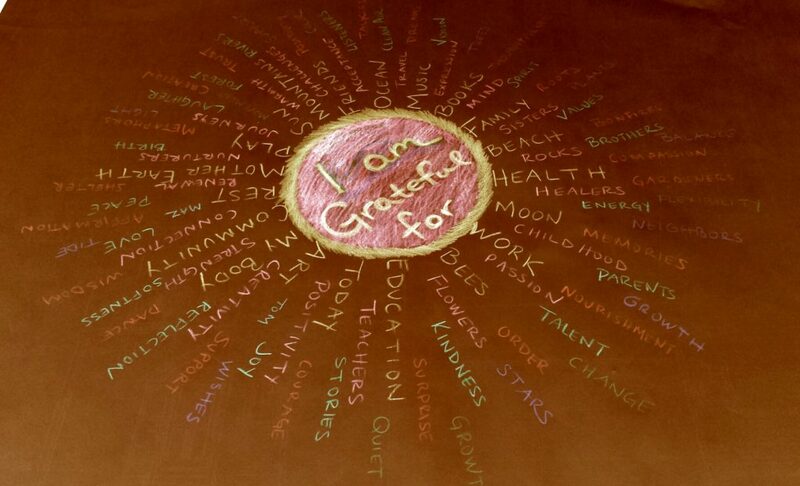 On Sunday I sat down with a giant piece of paper and some giant colored pencils to make a gratitude wheel. I went around and around writing many things for which I am grateful. I thought if I did this everyday for the week, how could I even have room to think about anything else, and wouldn’t that be a great way to walk into the Thanksgiving holiday? One can’t help but see the plate parallel as it relates to Thanksgiving dinner. Whatever you choose to fill your plate with, will leave room for little else. I know you all will manage those choices in the way that best supports your goals, so this post is about more than veggies and stuffing. This is really an invitation to fill your own grateful plateful. I have about 100 different headings on mine so far, one of which is community. One of my local communities is Hybrid Fitness, and I’ll share the little side plate here. When I think about Hybrid Fitness I have a lot of gratitude. I’m grateful for Hunter and the team of trainers who introduced me to barbells and kettlebells and showed me how strong I am and how to move my body in new ways. I’m grateful for the friends I’ve made and all the support that we give each other. I’m grateful for all the lovely comments and messages you all send me after you read my posts or after a great workout together. I’m grateful for learning how to be accountable to my friends and helping them be accountable to others so ultimately we can all be accountable to ourselves. I’m grateful to have found Hybrid Fitness at a time on my journey that was really critical to creating a path to a healthier me. This is my grateful plateful. May your plate also be so full of all the things for which you are grateful that there is room for little else. Happy Thanksgiving.